All songs composed by Anton Schwartz except as noted. All songs arranged by Anton Schwartz. Produced by Anton Schwartz & Bud Spangler. at Fantasy Studios, Berkeley, California. • High-resolution digital download from HDtracks. 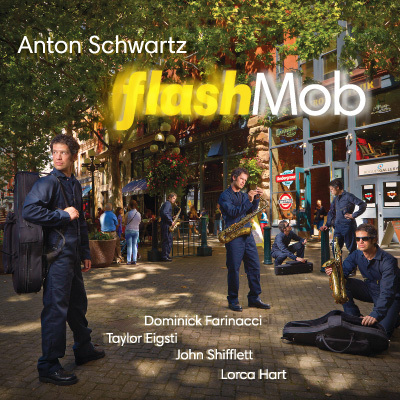 Featuring: Peter Bernstein, Taylor Eigsti, John Shifflett, Tim Bulkley. 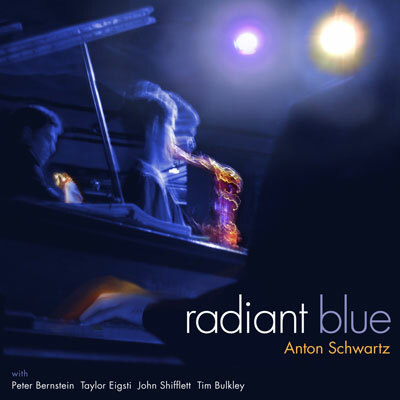 This CD went to number four on the national jazz charts, earning Anton a cover story in JazzWeek magazine. All songs composed by Anton Schwartz except #3, as noted. Produced by Bud Spangler & Anton Schwartz. Recorded December 5-6, 2005 in 96kHz 24 bit audio. 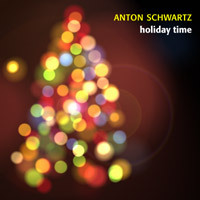 Holiday jazz that’s smart, spirited and soulful. A specially priced five song CD. Produced by Anton Schwartz and Bud Spangler. Recorded, mixed, and mastered in 24-bit, 96kHz digital audio. Specially priced five-song CD, packaged in an attractive DigiPak. Life’s pace has gotten more than a little frantic lately, and this album rejoices in our ability to slow it down. 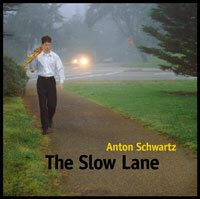 Not strictly a ballad album, The Slow Lane explores life at a more… deliberate… tempo. Liner notes by Becca Pulliam, producer of NPR's JazzSet. All compositions by Anton Schwartz except as noted. 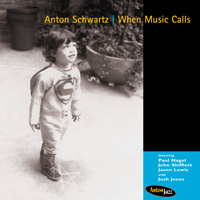 All arrangements by Anton Schwartz. Produced by Anton Schwartz with Bud Spangler. Digitally recorded "live" to two-track on Nov. 4 & 5, 1997. Liner notes by Dan Ouelette (DownBeat, Billboard, Stereophile).